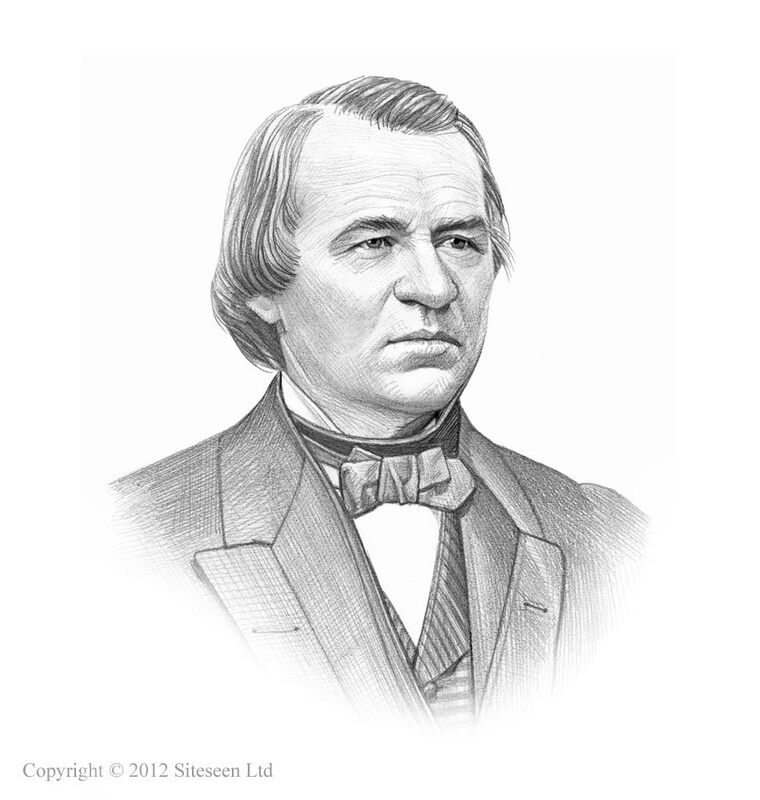 Tenure of Office Act: Andrew Johnson was the 17th American President who served in office from April 15, 1865 to March 4, 1869. One of the important events during his presidency was the Tenure of Office Act. Summary and definition: The Tenure of Office Act was passed by Congress on March 2, 1867. President Andrew Johnson attempted to veto the law, but failed. The reason that Congress passed the Tenure of Office Act was to limit the President's powers and prevent President Andrew Johnson dismissing radical Republicans from office. The President subsequently ignored the Tenure of Office Act and suspended Edwin Stanton, the Secretary of War and a prominent cabinet member. This action led to the Impeachment of Andrew Johnson. The events leading up to the Tenure of Office Act were due to the conflict between President Andrew Johnson and the radical Republicans in Congress over the Reconstruction of the South. In April 1865, Vice President Andrew Johnson, a Southern Democrat, assumed the Presidency following the assassination of President Lincoln. Johnson adopts the Reconstruction plans of Lincoln but on December 1, 1865 President Johnson abruptly declared the end to Reconstruction. Congress was outraged, and Radical Republicans refuse to recognize the new governments in southern states who were attempting to restore self-rule. The Southern states had passed the notorious Black Codes during 1865 -1866 and were reluctant to ratify the 13th Amendment. President Johnson further infuriated Congress by vetoing an extension to the Freedmen's Bureau and the Republicans responded by passing the Civil Rights Act of 1866 overriding the President's veto. The Congressional elections of November, 1866, were greatly in favor of the radical Republicans and in support of their policy for reconstruction. Congress passed the first of the Reconstruction Acts which gave them military control of the South. When was the Tenure of Office Act passed? Congress passed the Tenure of Office Act on March 2, 1867. Why did Congress pass the Tenure of Office Act? Congress passed the Tenure of Office Act to limit the President's powers and prevent President Andrew Johnson dismissing radical Republicans from office. They hoped that the Tenure of Office Act would to assure the continuance in office of Secretary of War Edwin M. Stanton and therefore prevent any interference with the military occupation of the South in the Congressional Reconstruction plan. Edwin Stanton was a valuable member of the existing cabinet and a firm supporter of the Radical Republican's Reconstruction policies and was openly opposed to President Johnson. What were the provisions of the Tenure of Office Act? President Johnson tried and failed to veto the Tenure of Office Act. Ever since the formation of the United States government the Presidents had removed officers when they saw fit. The Tenure of Office Act required the consent of the Senate to removals as well as to appointments. Johnson believed that the Tenure of Office Act was unconstitutional. In December 1867 President Johnson ignored the Tenure of Office Act and suspended Edwin Stanton from office. Stanton refused to budge and barricaded himself in his office claiming that the Tenure of Office Act protected him. The House of Representatives invoked the new Tenure of Office Act to initiate Impeachment proceedings against President Johnson. In the history of the United States there have only been two Impeached Presidents - both were acquitted.